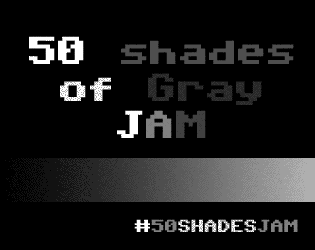 Create any kind of game using 50 shades of gray palette (from black to white). Platform: widely used platform like web browser, Windows, Android, iOS, macOS etc. Multi-platform games are very welcome!